Sometimes even the best car just doesn’t fit your senior’s needs at this point in her life. That’s when using some adaptive devices made specifically for cars can be a huge help. Seat cushions that fit into a regular car seat and swivel give your elderly family member several benefits. For starters, they’re going to add a little bit of height, which can help if she’s been shrinking and feels as if she can’t see well. But they also swivel, which gives your elderly family member an easy way to maneuver into and out of the car without having to move in ways that aren’t comfortable for her. Detachable handles fit into the latch receiver in the car’s frame. Every door, whether it’s the driver’s door or the other passenger doors, have a slot into which these tools can fit. Once in place, the tool gives your senior a lever with which she can help herself to stand up easily. The handle pops back out of the hole and is ready for her the next time. 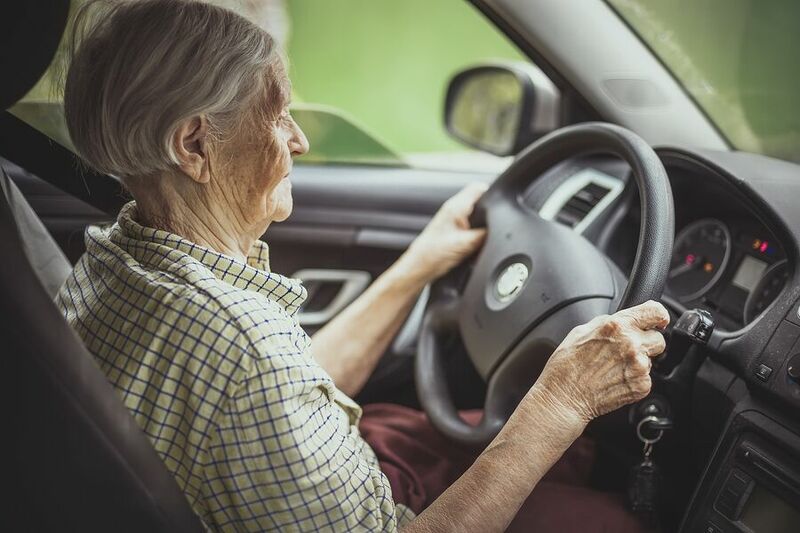 If your elderly family member’s range of motion, especially in her arms and shoulders, is not as great as it used to be, she can have difficulty reaching for her seatbelt. Reaching tools designed specifically for seat belts put them in easier reach and give your elderly family member a chance to independently put on her seatbelt. This is essential, whether she’s the driver or a passenger. Pedal extenders allow your senior to reach the gas and brake pedals more easily in the car. These typically fit over the existing pedals. They’re available in a variety of sizes to accommodate all sorts of needs your elderly family member might have. If your elderly family member is no longer driving herself, seat belt buckle guards are vital. These fit over the seat belt and come into play when the buckle is engaged. Without a key or similar tool, the person in the seat belt can’t simply pop open the seat belt. This is crucial when you or senior care providers are driving and your elderly family member unbuckles herself in a potentially dangerous situation. These types of devices are essential if your elderly family member is still driving, of course, but some are beneficial even if she’s a passenger more often than not these days. Anything that helps your aging adult to be more comfortable in the car is something to investigate a little further.